Unidentified arm off a crinoid calyx found in Clark County, Indiana in the Waldron Shale. 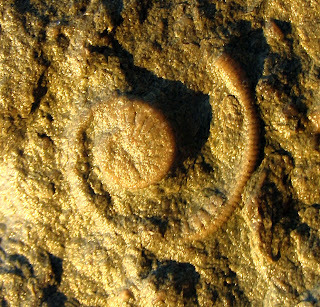 The fossil is from the Silurian Period (443 to 416 million years ago). High hopes that sand blasting will reveal more details of this fossil including the pinnules or feather looking part of the arm.